Edinburg Fire Company's "Soiree Minstrels"
Edinburg Fire Company "Soiree Minstrels" show held on April 3rd and 4th 1931. Show directed by Stanley Murray and Mrs. George W. Ring Jr. Photograph taken by Hugh Morrison of Woodstock Virginia. 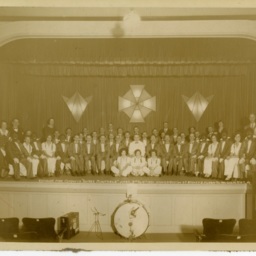 The show was held in the Edinburg Theater. Hugh Morrison, Morrison Studios Woodstock Va.
Edinburg Fire Company's "Soiree Minstrels," Shenandoah County Photograph Collection, Truban Archives, Shenandoah County Library, Edinburg, Virginia. 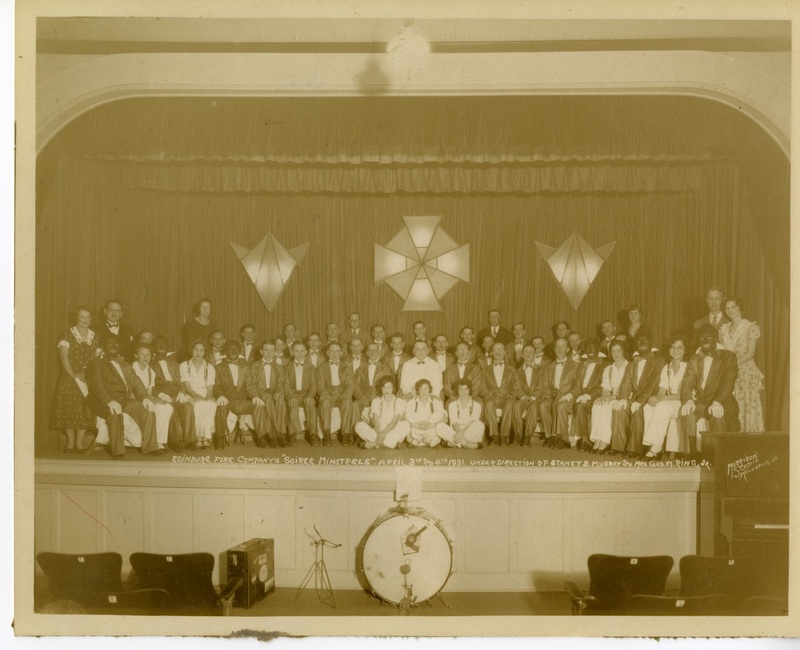 Hugh Morrison, Morrison Studios Woodstock Va., “Edinburg Fire Company's "Soiree Minstrels",” Shenandoah County Library Archives, accessed April 19, 2019, http://archives.countylib.org/items/show/11696.